The Southeast Arizona Area Health Education Center, Inc. (SEAHEC) and partners announce inauguration of a new community center for the colonia of Winchester Heights, near Willcox in Cochise County Arizona. The inauguration ceremony for the Winchester Heights Community Center and “We Heart Children” Children’s Memorial Park will be held at the new community center at 5815 W. Cameron Dr. Willcox, AZ 85643 from 5:00 pm to 7:00 pm on Saturday, August 18th. The inauguration will include a “ribbon cutting” with time for community residents to utilize the playground for the first time; words from SEAHEC’s Executive Director at 5:30, followed by recognition of key contributors, a declaration of appreciation from Winchester Heights community health workers, a tour of the community center and a small barbeque & refreshments, and accompaniment with a DJ. SEAHEC recruited members of the Winchester Heights neighborhood to train and work with SEAHEC public health interns from the University of Arizona Mel and Enid Zuckerman College of Public Health (MEZCOPH.) They collaborated on developing a training manual based on community identified health issues, and organized a series of workshops based on the new manual. The team then shared what they had learned with community members by organizing home visits, workshops and informal information sessions in the work place. The team was launched in 2013 and since then, CHW efforts have expanded from disseminating health information to helping the community build its collective capacity to establish health supporting infrastructure. 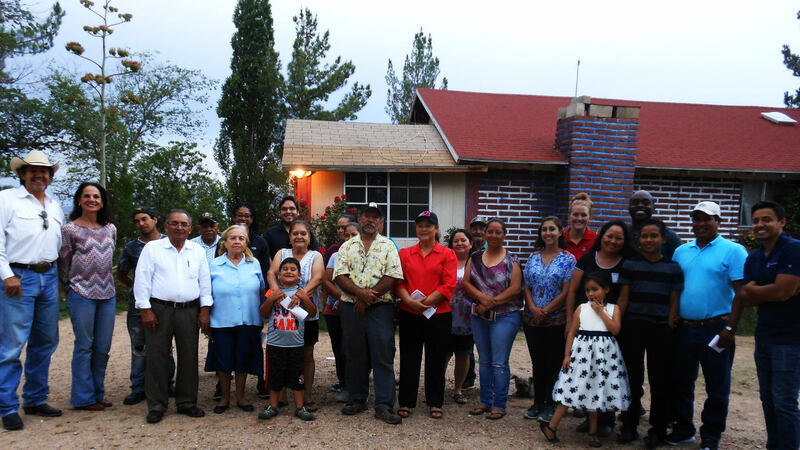 SEAHEC CHWs and interns collaborated with Chiricahua Community Health Centers, Inc (CCHCI). to establish a health services referral system. Then they worked with SEAHEC to install bus shelters for local school children and organized the community’s first public health fair. But a persistent barrier to engaging the entire community of 600 in the process of working to improve community health has been lack of space for people to assemble, and as expectations grew for more participation and the desire for concrete and lasting changes to community infrastructure, the residents requested SEAHEC’s help to develop and construct a community center, so they could engage in larger scale projects. These priorities are a stepping stone to building community capacity to collaborate on acquiring, and managing public infrastructure. 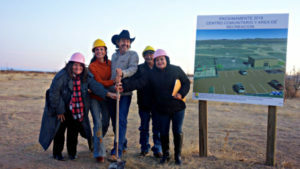 The foundation of this capacity will be an expansion in focus for CHW training and community education from health topics to include community advocacy and organizing skills, which residents will develop through collaborating to address priorities identified in the CEHA, and learning to manage and sustain their new community center. SEAHEC has helped residents establish Community Action Committees, whose leaders will be trained community health workers. Each committee which will focus on a key health priority as well as share in the responsibilities of running the community center, providing health education and fostering a culture of active living focused on the new playground. The playground is a core feature of the new community center and was named “We Heart Children-Burris Children’s Memorial Park” in memory of Jake & Jessica Burris, both of whom died of a young age due to heart conditions. Their sister Michelle Jeanee Burris has raised nearly $2,000 through GoFundMe for playground equipment for the Winchester Heights community. Unsurprisingly, the infrastructure deficits Winchester Heights residents face are not uncommon in the Southwest. Nearly half a million people in Arizona and New Mexico alone, live in unincorporated neighborhoods designated as colonias: rural communities within 150 miles of the US/Mexico border whose main characteristic is lack of infrastructure needed to support public health. SEAHEC’s Healthy Farms Program provides a replicable model for addressing root causes of the persistent public health problems colonia residents’ face: lack of community capacity to address infrastructure deficits. At the same time, Healthy Farms’ training opportunities for health professions students and community health workers helps to build our rural health care workforce. 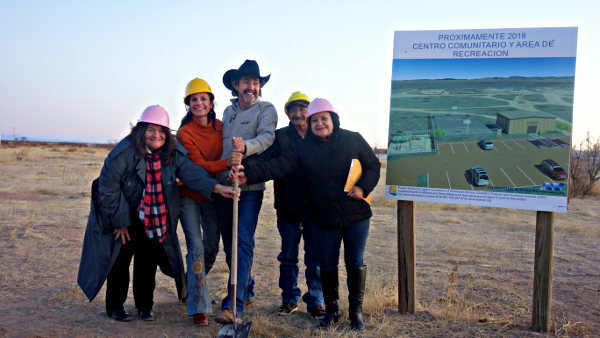 Funding for the construction of the community center comes from the Legacy Foundation of Southeast Arizona, with a small grant from the Community Food Bank of Southern Arizona. Funding for the Children’s Memorial Park is from the Vitalyst Health Foundation and private donations. An ongoing source of funding for the CHW trainings comes from the Arizona Community Foundation of Cochise. SEAHEC receives its core funding from the Arizona AHEC Program, the US Department of Health & Human Services HRSA, and other public and private grants and donations. Tagged Summer 2018, winchester heights.